We’ve invited our friends at mbaMission to share their 2016 MBA Class Profile Infographic! Check out their findings below and visit mbamission.com to sign up for a free consultation. 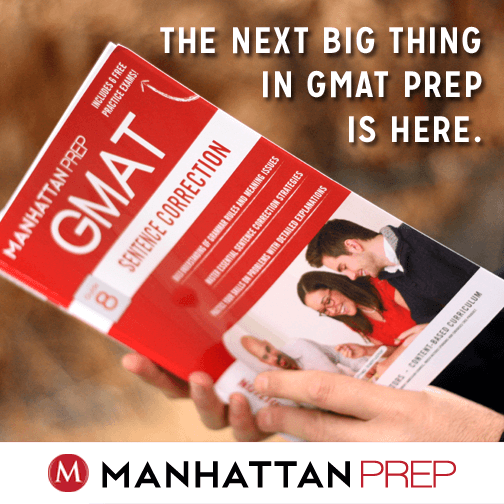 The Newest Manhattan Prep GMAT Strategy Guides Have Arrived! 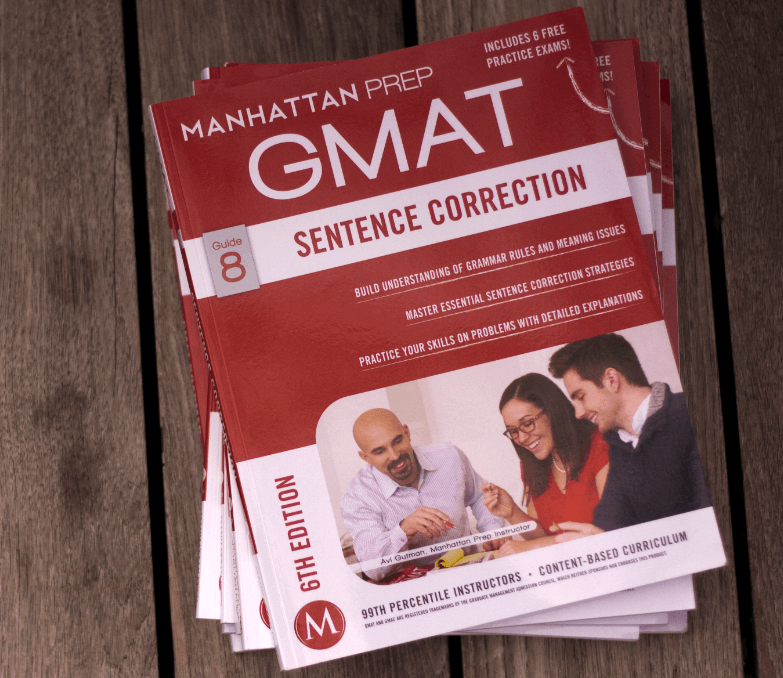 The newest GMAT Strategy Guides have hit the shelves! We’ve been working all year on updating our materials to give you the best and most up-to-date study materials possible. What’s so great about the new books? So many things, I don’t know where to start! Okay, let’s talk about quant first. Every quant book contains between 1 and 3 entirely new chapters. These chapters are devoted to strategies that will help you solve quant problems more efficiently and more effectively. These strategies are a crucial reason why all of our teachers score in the 99th percentile on the GMAT (I certainly wouldn’t consider taking the test without using them). We’ve always taught them in class and now we’re putting them in our books for the first time. Choosing Smart Numbers: you can turn certain algebra problems into arithmetic problems by substituting in your own numbers for the variables. We’re all better at arithmetic than we are at algebra, so you’ll definitely make your life easier (and be able to answer harder questions) by choosing smart numbers. Testing Cases: On many data sufficiency problems (and even some problem solving problems), you’ll want to test cases in order to determine whether a statement is sufficient (or to eliminate wrong answers on PS). These problems are “theory” problems: the question may ask “Is n odd?” and then provide information that doesn’t allow you to determine a specific value for n, just whether specific characteristics are true of n.
Working Backwards: Sometimes, the problem is pretty annoying to set up and solve but the answers are all “nice” numbers: relatively small integers. In this case, you may be able to work backwards from the answers: pick one and try it in the problem to see whether it’s correct. The beauty of this technique: if you get good at it, on many problems you won’t have to try more than two answers in order to get to the correct one. I tested three answers on the solution in the article linked here, but I only really needed to test the first two; see if you can figure out why. Estimation: Sometimes, the problem would be really irritating to solve exactly, but the answers are all decently spread apart. When this is the case, you can just estimate to solve! There are also a bunch of strategies for jumping between fractions, decimals, and percents to solve more quickly. Combos: The GMAT likes to ask us to solve for a combination of variables, such as x + y. Sure, it’s possible that you may have to find x and y individually and then add them up, but it’s actually more likely that you’ll want to solve directly for that combo (x + y), especially on Data Sufficiency. Learn how to do this and also how to avoid DS traps in which the statement is not sufficient to solve for the individual variables but is sufficient to solve for the Combo. Draw It Out: You can often solve the extra-annoying story problems, such as rates & work, via a “back of the envelope” approach: you sketch out a picture of the scenario and just “step” through it. For instance, you’d draw a timeline and map out exactly where those two trains are after 1 hour, 2 hours, 3 hours. It’s a little bit shocking how often this kind of strategy will get you all the way down to a single answer. When you get to the end of the main chapters of that book, do the OG Mixed Questions Quiz that we’ve devised for you. (Certain longer books also have mid-way quizzes.) You can find these quizzes on our web site, where our Official Guide Problem Set study lists live. You’ll receive access to these problem sets and quizzes, along with other bonus materials, when you register your books on our site. We moved the OG problem sets online because GMAC is going to start publishing new versions of their Official Guide books every year (in July, we’ve heard), so by moving the problem sets online, we’ve ensured that you’ll always be able to go and get the sets for the specific OG editions that you own.